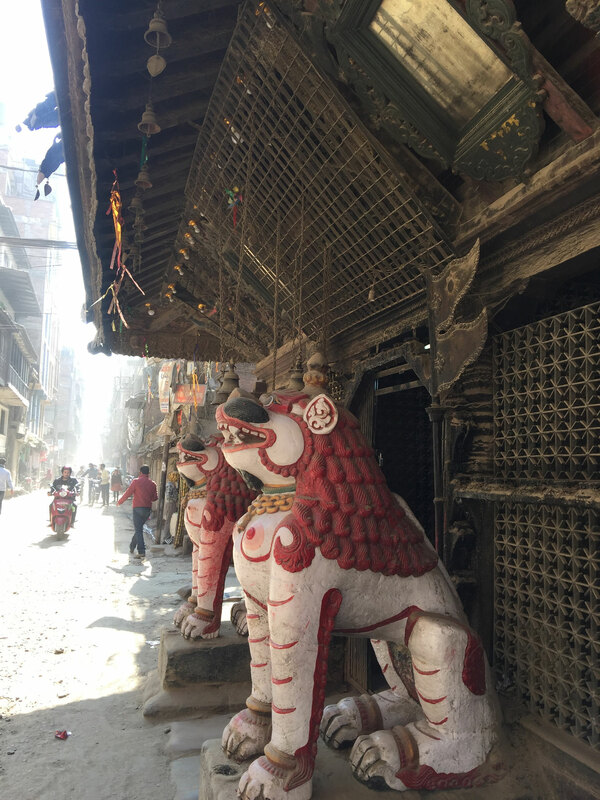 Kathmandu is a crazy place with dust in the air, markets on the streets and an atmosphere so thick you can almost pick it up and put it in your rucksack. 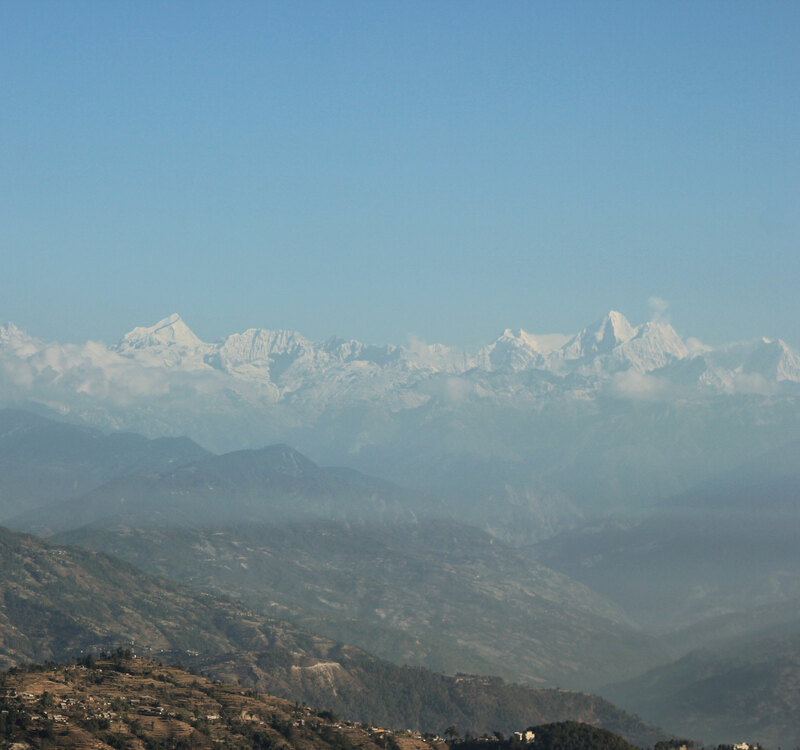 The vibe here stems purely from the Himalayas that are almost in arms reach and everyone here is either about to embark on the adventure of a lifetime or just returned from one. 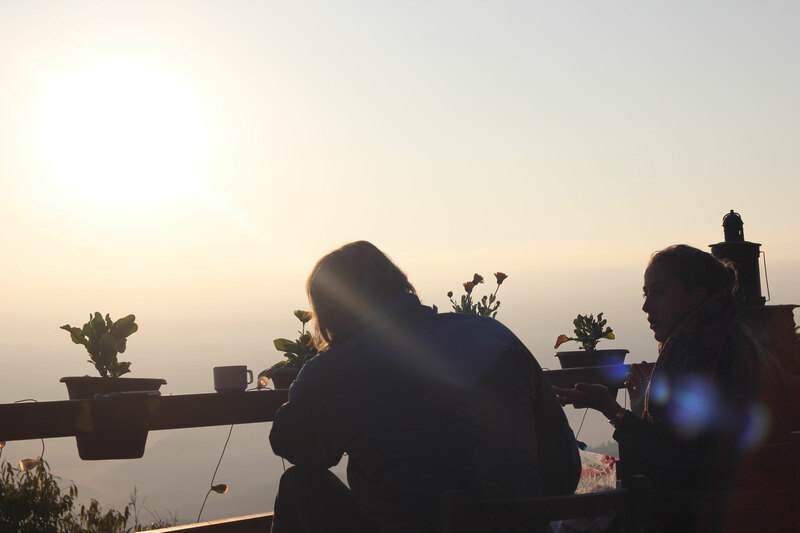 The stories shared in our Kathmandu hostel were some of the greatest I've ever heard, with everyone there having a the same passion for mountains, trekking and travel. We stayed in Kathmandu for one night when we first arrived in Nepal and then got an early morning bus to Pokhora the next day, but after our trek we returned here for 8 days during which we max-chillaxed and made some super awesome friends all the while immersing ourselves in one of the coolest cultures in the world. We stayed at the Alobar1000 hostel recommended by my pal Georgia who had been there a few months before hand. 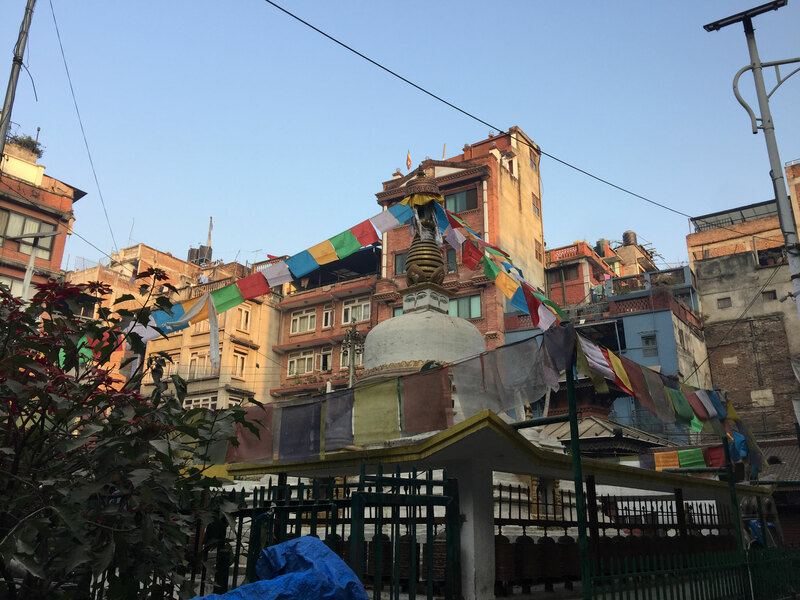 The hostel is in a great location a few minutes walk from the center of Thamel and just around the corner from Western Tandoori (more on that later). We paid $6 each a night for a bed in a mixed 10 person dorm and although it wasn't the most luxurious hostel we've stayed in it did the job just fine. The hot water only works in certain showers (the furthest one from the stairs on the second 'path' floor was my favorite) and there is basically never any toilet paper, but other than that it was perfectly comfortable and Jodie and I were very sad to leave when it came time for our fight to India. 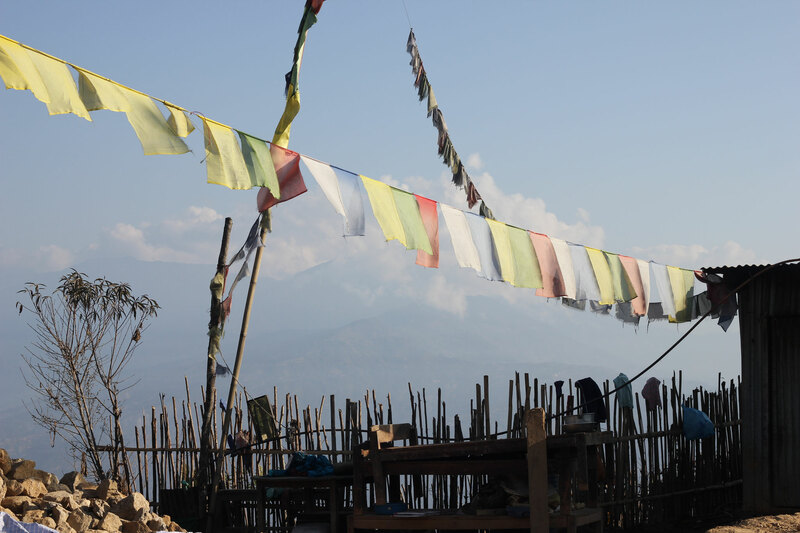 The best part about this hostel is its rooftop, which meanders through several different rooms and outdoor areas all adorned with prayer flags, posters of the mountains and colouful cushions and flowers. They serve food here as well which is a bonus for those times you can't be bothered to go out/walk down the stairs (ha) that is delicious and well priced. 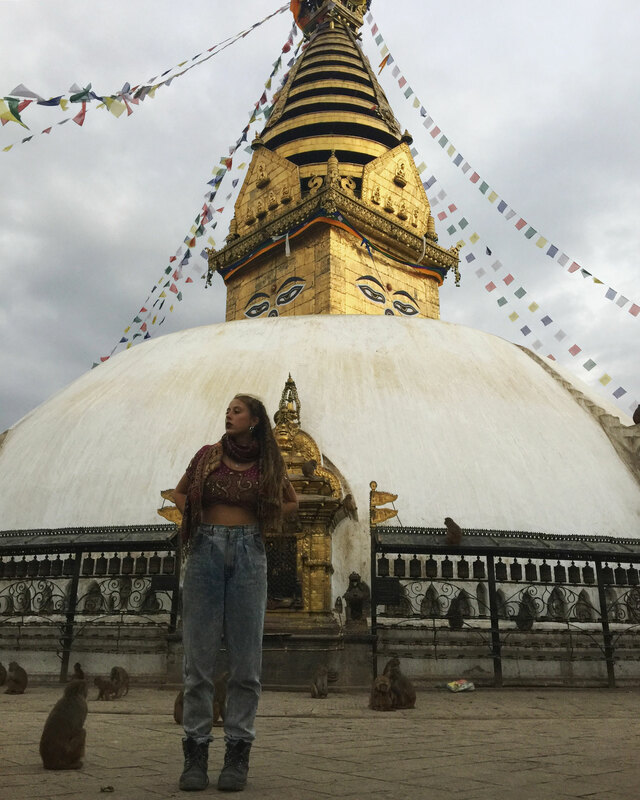 We flew from Ho Chi Minh to Kuala Lumpur where we had a 13 hour stop over and then from there to Kathmandu for $230. 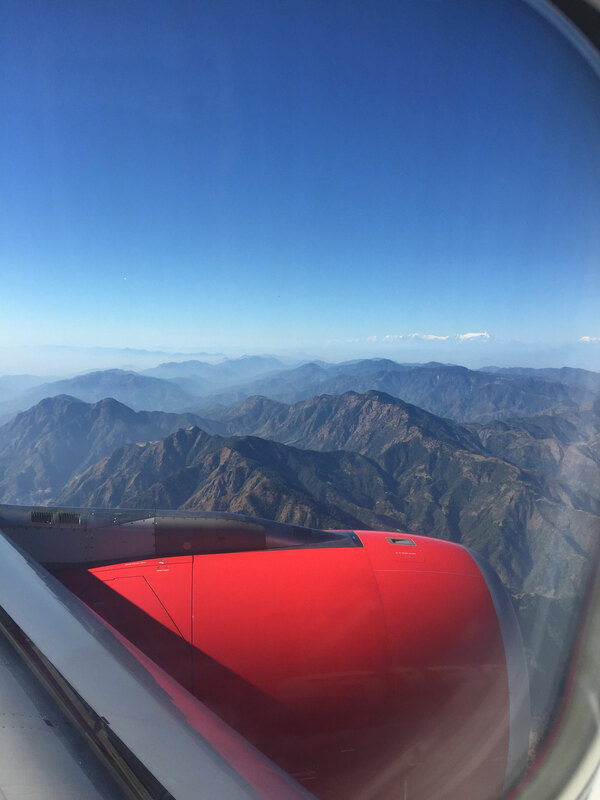 We flew with Air Asia so although the first flight of 4 hours to KL was okay the 8 hour flight to Kathmandu was pretty rough (but for $230 who can complain). We arrived late afternoon and spent about an hour organizing our visa in the airport before heading out to find a taxi. There are many taxis waiting directly outside the terminal but their prices are heavily inflated (500-700 rupees) and if you exit the airport and walk out onto the street (its not a very big airport so this will only take you a few minutes) then you'll be able to nab yourself a cab into Thamel for about 200-300 rupees which is about $3. 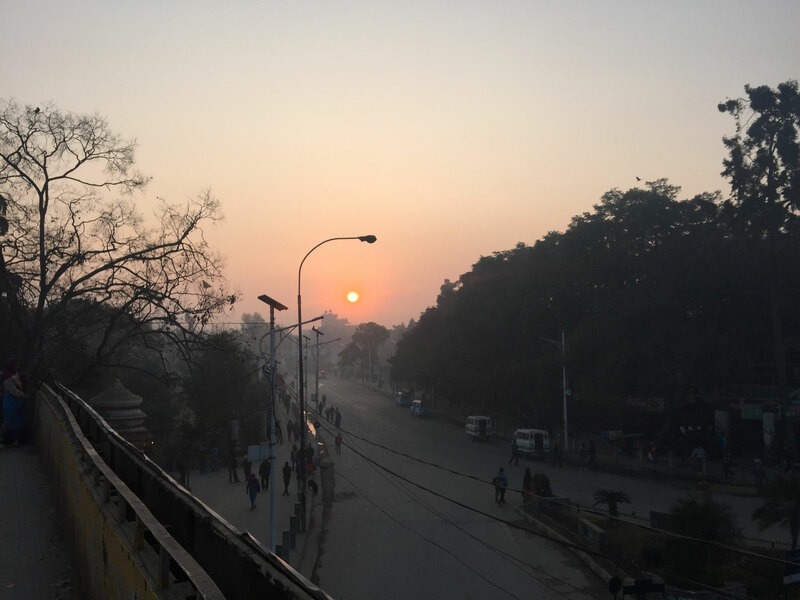 The 'roads' in Kathmandu are congested and stressful so don't be surprised if the promised 15 minute journey takes you closer to an hour (make sure you give yourself ample time to get back there for a flight as well). 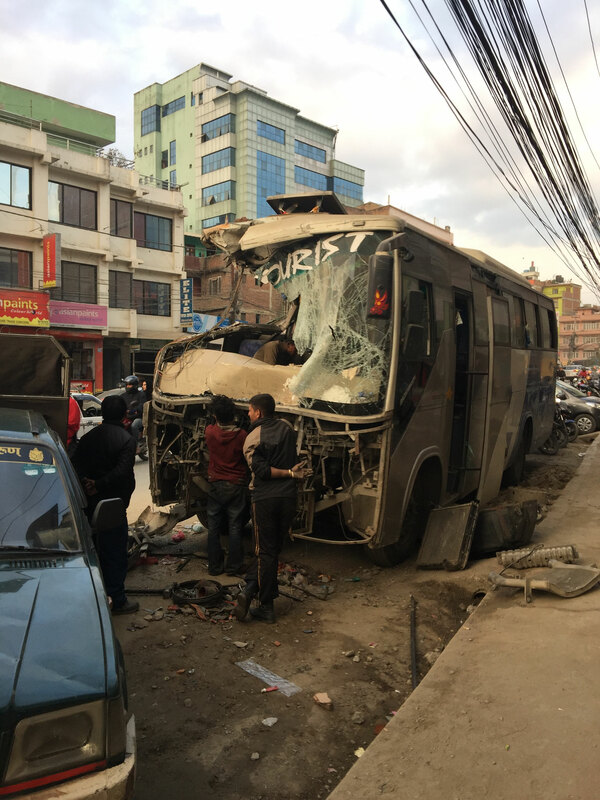 From Kathmandu we got a bus for 600 rupees to Pokhora from the main bus 'street' near the hostel. 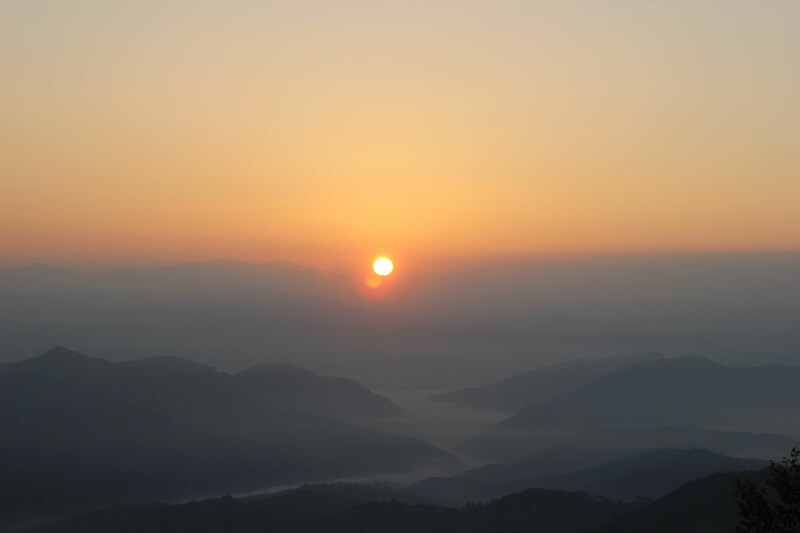 Typically the Pokhora buses leave at 6:30 am (just in time for sunrise). 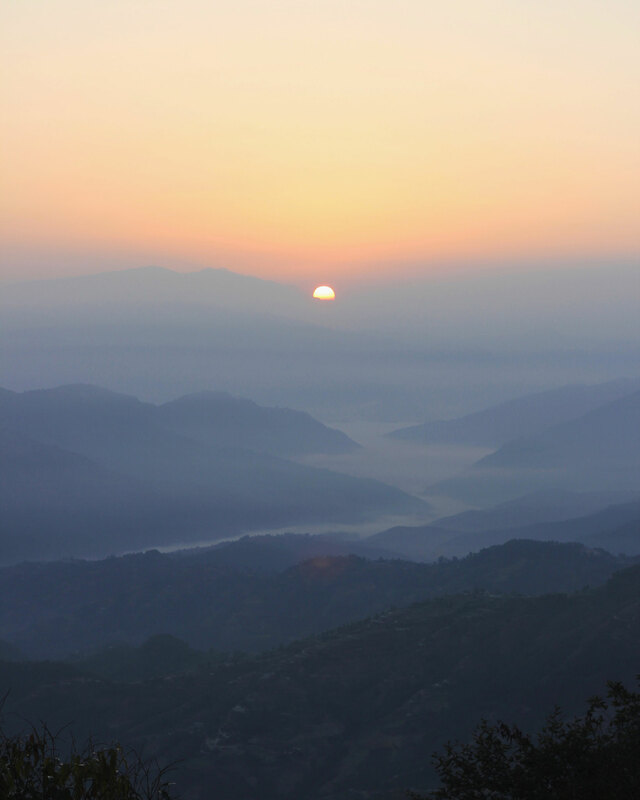 At the end of our time in Nepal we flew to Delhi with Air India for $250. Our flight was delayed by several hours (as most flights in Kathmandu airport are) so we missed our connecting flight to Cochin in the south of India. Air India put us in an airport hotel for free and got us on the first flight to Cochin early the next morning so we didn't lose any time and actually saved some money on accommodation (yay). 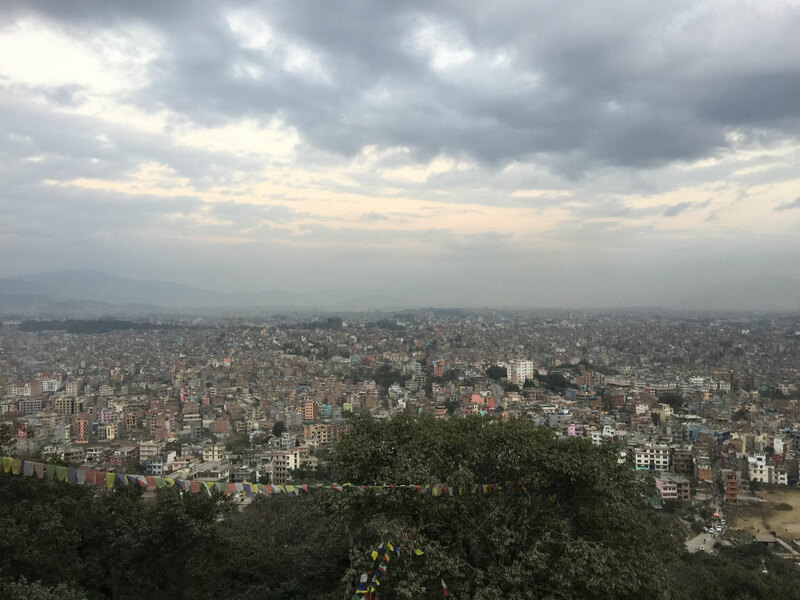 Try and book flights to and from Nepal as far in advance as possible as Kathmandu airport is really the only one you can fly into and the prices inflate ridiculously the closer you get to the date. 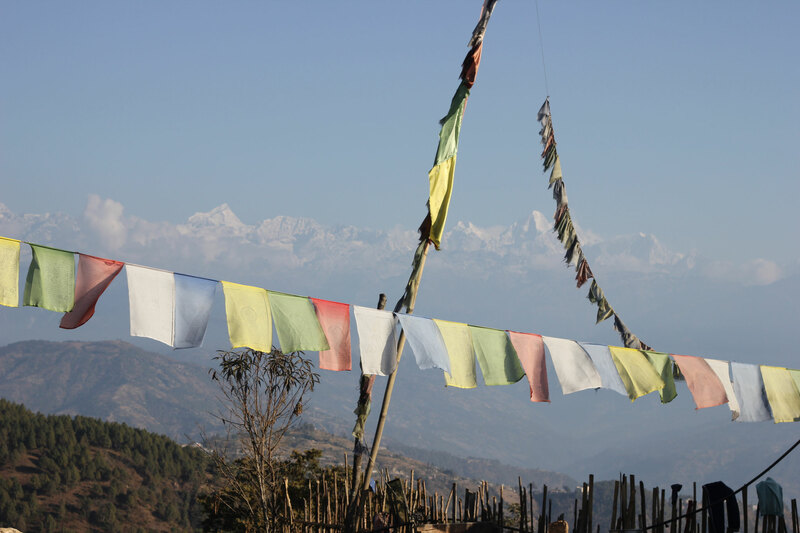 Nepalese visas can be purchased on arrival for most nationalities. To get the visa all you need are 2 copies of your passport photo and US dollars in cash. The process doesn’t take long as long as you're speedy getting off the plane and into the cue before customs. Most people on our flight were Nepalese so there would have been only 30 or so others needing visas too. They have 15, 30 and 90 day visas available. 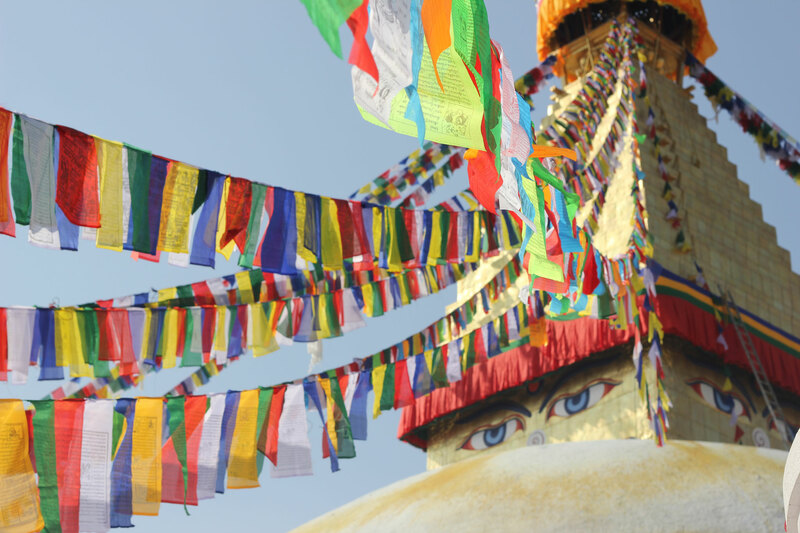 You can get your visa extended in certain offices in Pokhora and Kathmandu for around $30 US. The cost of the visas are below. 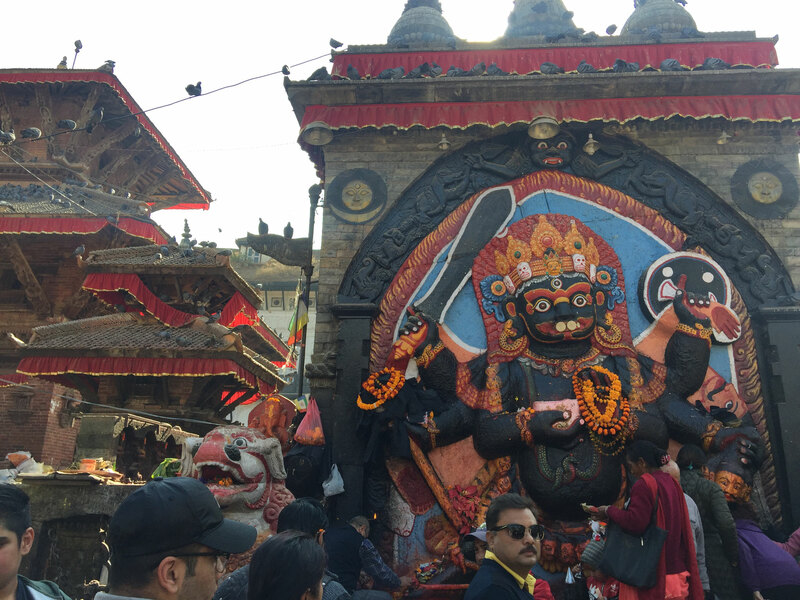 Kathmandu is an extremely multi faceted city with the perfect blend of touristy activities, shopping and genuine cultural experiences to keep you entertained for the duration of your stay. 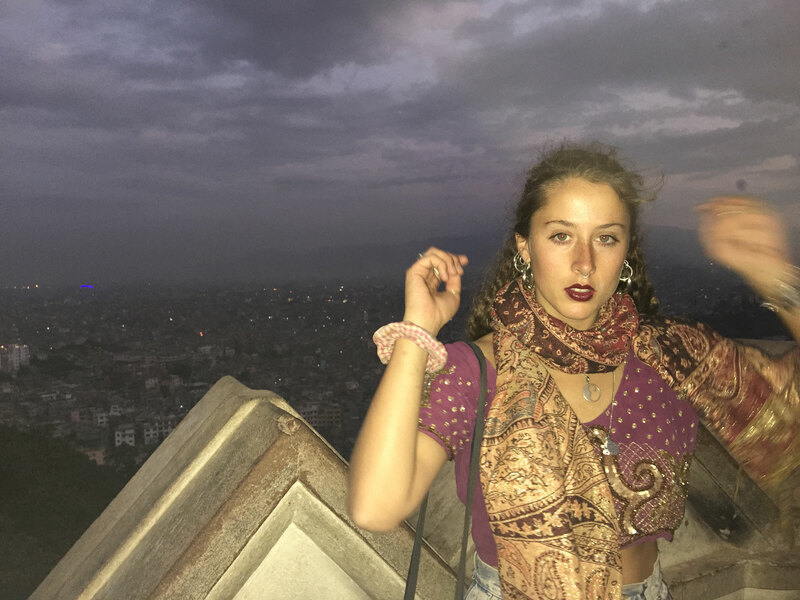 While Jod and I spent a lot of our time relaxing with our friends on the hostel's rooftop and swapping stories after our trek, our days were spent mainly exploring the streets of Thamel and visiting the various temples. 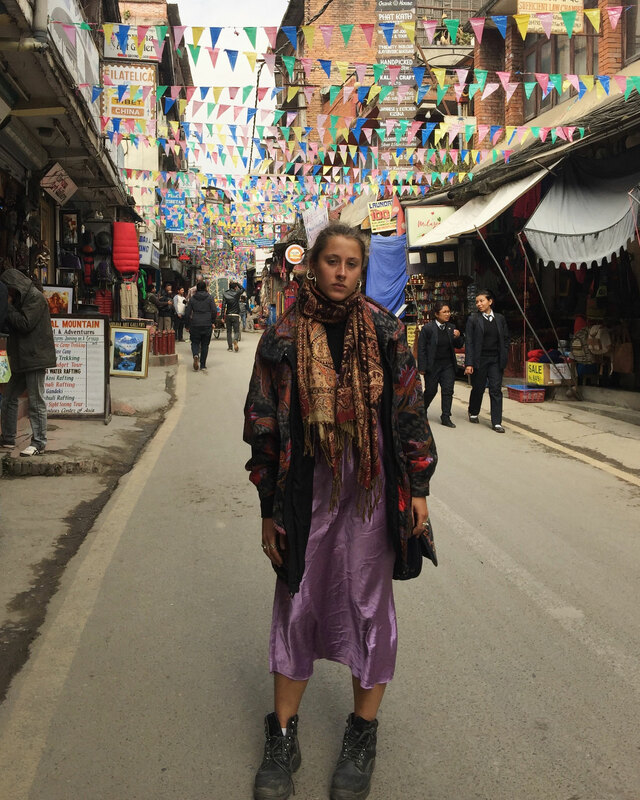 The shopping here is pretty fun as Nepal has a very unique style of clothing that is very popular amongst most backpackers. Hemp and brightly coloured wool is used to make most things along with baggy gypsy pants and jumpers with ears. While none of this stuff was particularly my kind of thing its still fun sorting through everything and seeing what you find. 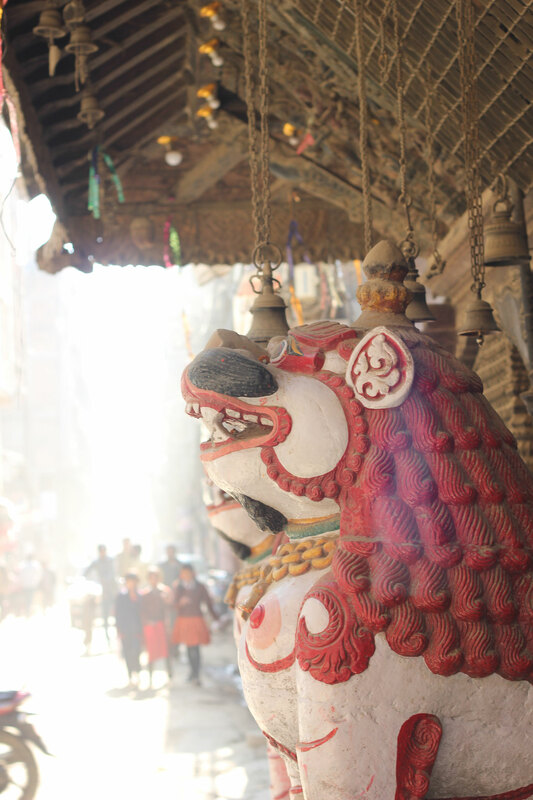 There are several stalls littered through the streets of Thamel with wears from India that had me completely transfixed. 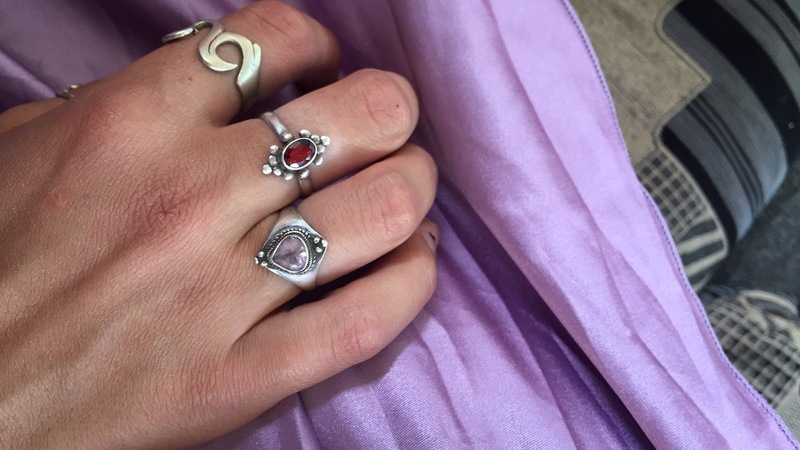 Luckily I didn’t buy tooooo much because the prices were highly inflated from what they are in India and although the selection was quite beautiful its definitely worth waiting and doing your shopping in Pushkar or Goa to save money. 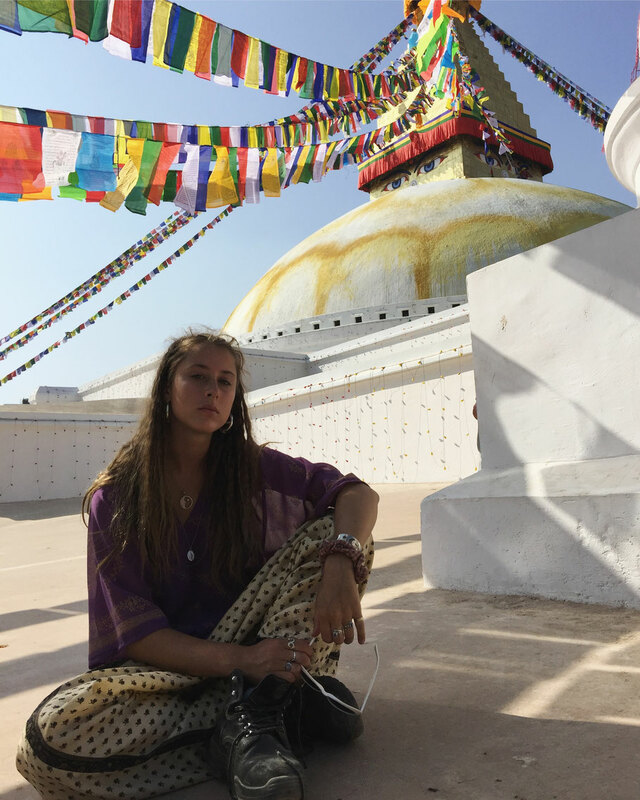 There is a super funky selection of t'shirts with mountain and Buddhist motifs on them that are sold pretty much everywhere, also watch out for the mountain paintings and posters. 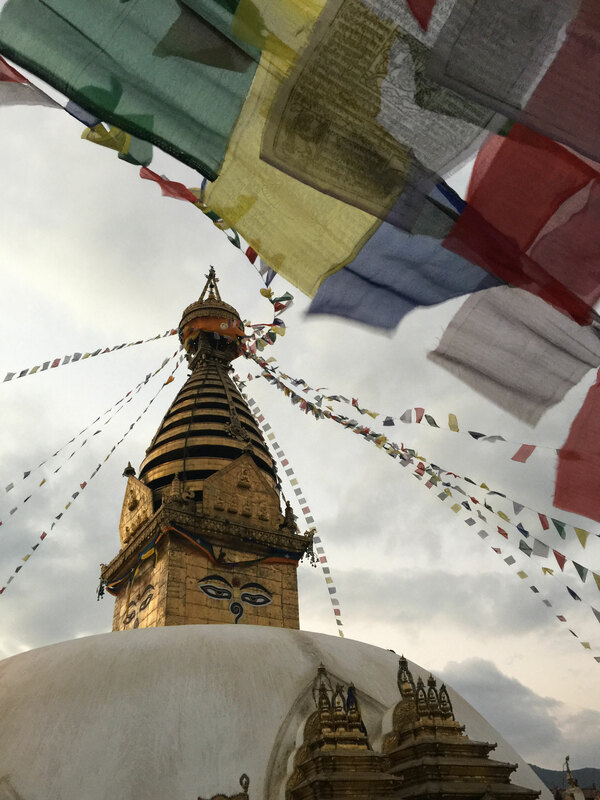 I haven't seen pictures like these sold anywhere else in the world and seeing as your time in Nepal will be based around the beauty of the Himalayas it seems like the perfect souvenir. Had I not been travelling for several months afterwords I would have bought lots of them. 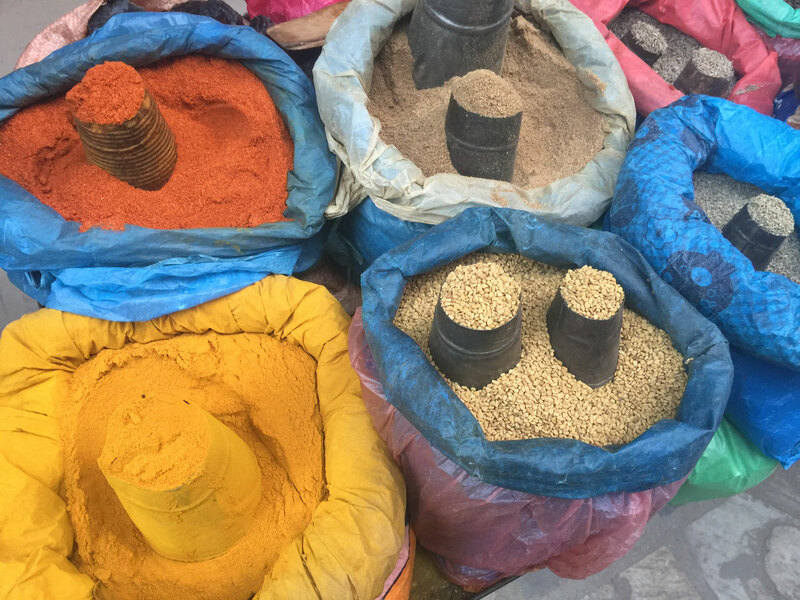 The food in Kathmandu is amazing (momos… need I say more) but funnily enough our 2 favorite places where actually Indian restaurants with ceramic naan kilns (and dirt cheap prices to match). I can honestly say that Western Tandoor was my favorite eating experience of my whole 4 months away. 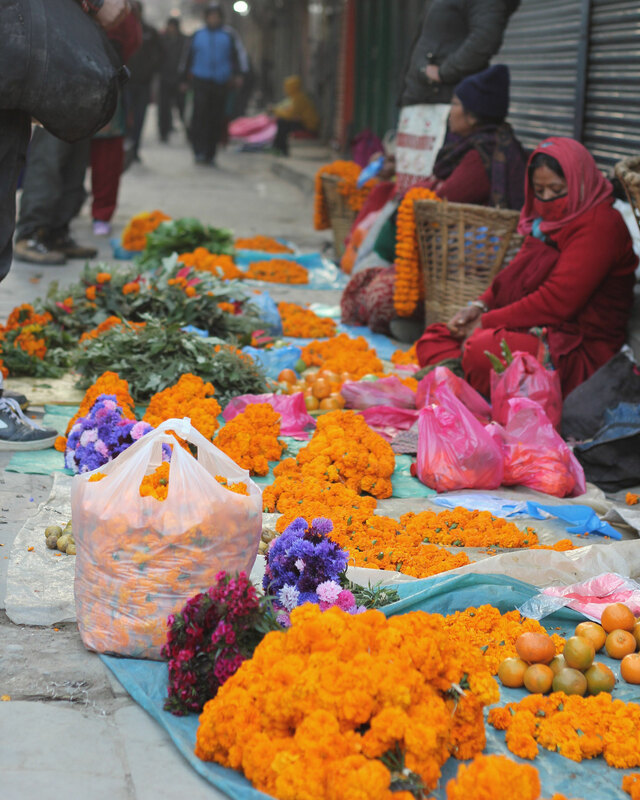 Its located a few minutes walk off the main road of Thamel and serves curries, Dal baht and Indian bread. Jod and I would usually get 2 curries to share and a large portion of butter roti for $1.50 each. The actual space is very simple and gets quite cramped as it is so popular with travelers. There are just 5 big communal tables so don't be turned off if it looks full, you'll find space!! 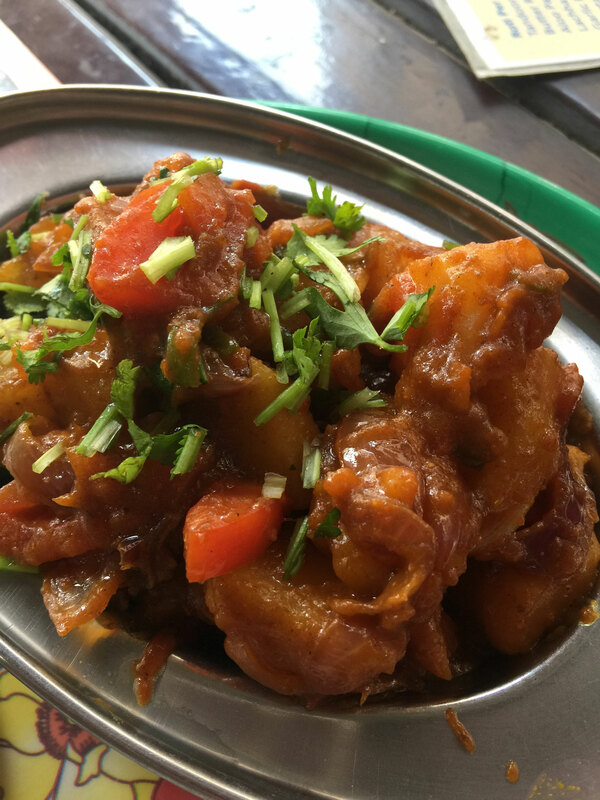 The second place I recommend to eat is very similar and is called Aakriti Lumbini Tandoori and is located on the other side of Thamel so we usually went there for lunch. One of our favoutire things to do was get up at 6am and walk around the streets before they filled with people and craziness. 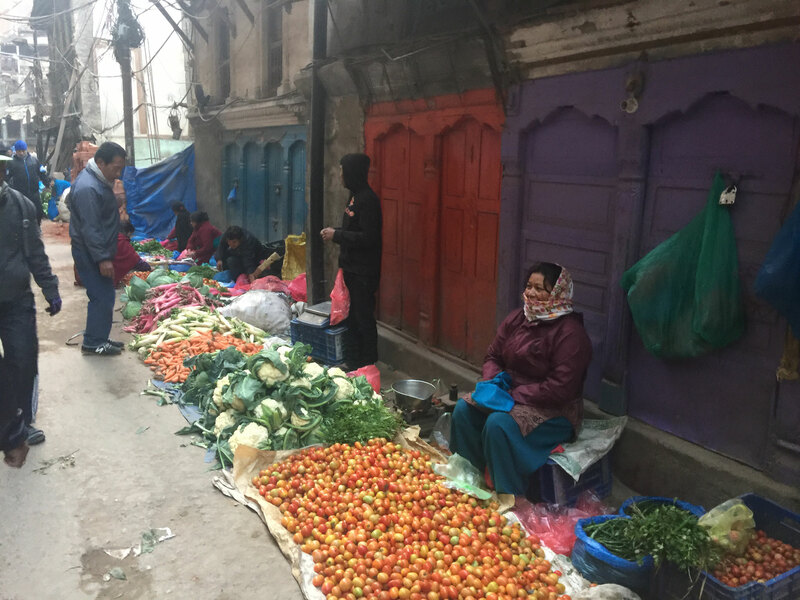 To avoid the crowds most of the local markets take place early in the morning so for breakfast we usually did a self-guided street food tour, tasting all sorts of deep fried breads, vegetables and chai. 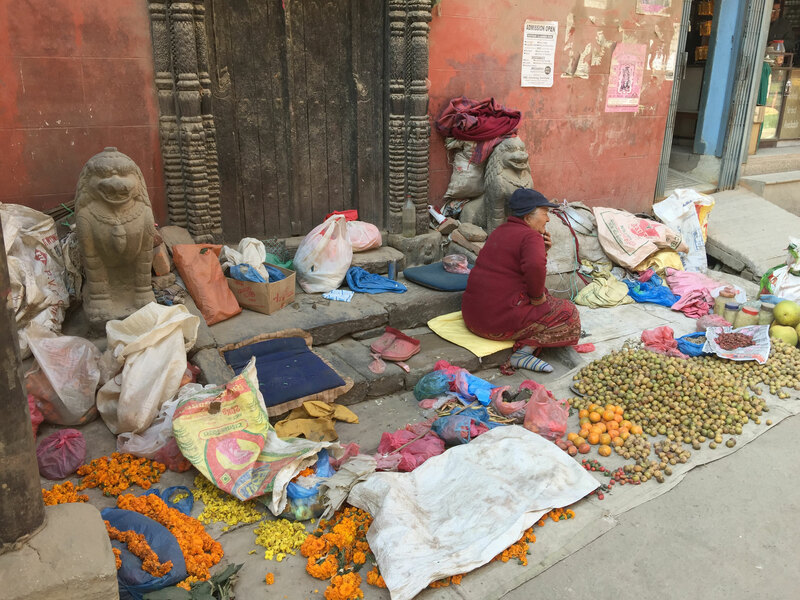 Make sure you check out the Annapurna temple at this time of morning and the streets surrounding it are bustling with life and colour as locals sell fruit and flowers and attend their morning prayers. Another great aspect of Kathmandu food are the many German bakeries that are dotted around the city. These places make delicious baked goods under any circumstances but it gets better at 9:30 every night when everything is half price!! 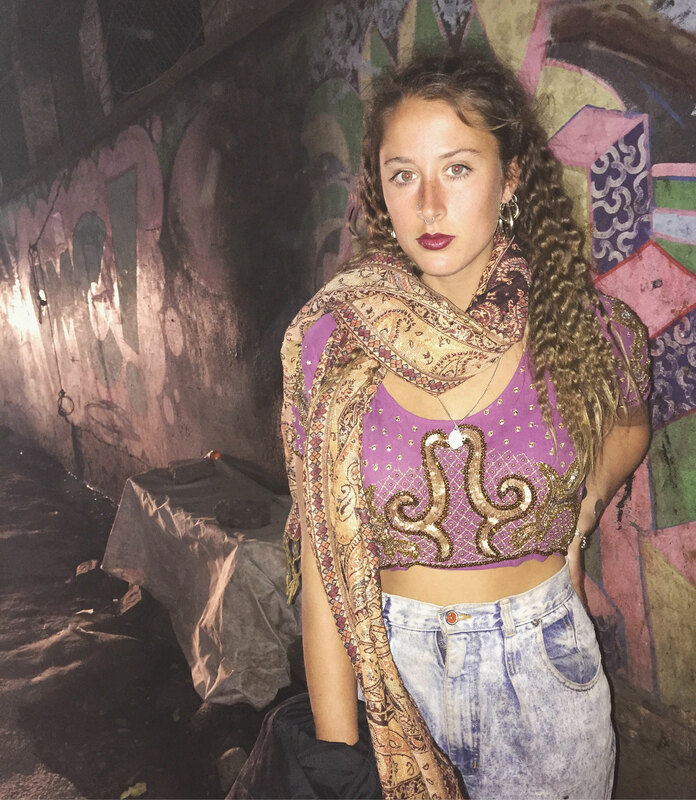 There are several bars and clubs in the Thamel area however we didn’t go to any other than Purple Haze which is a Nepalese rock bar and actually has some seriously talented performers. 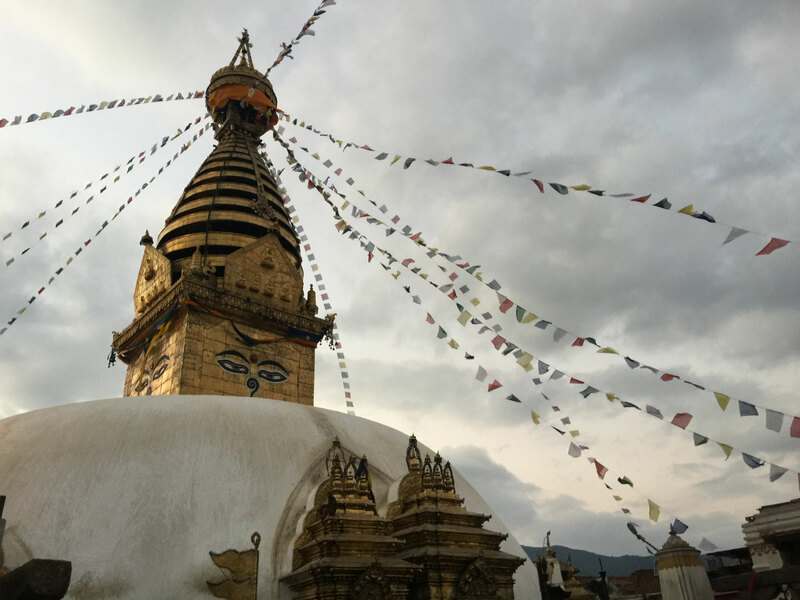 Make sure you check this place out, at least for half an hour while in Kathmandu. 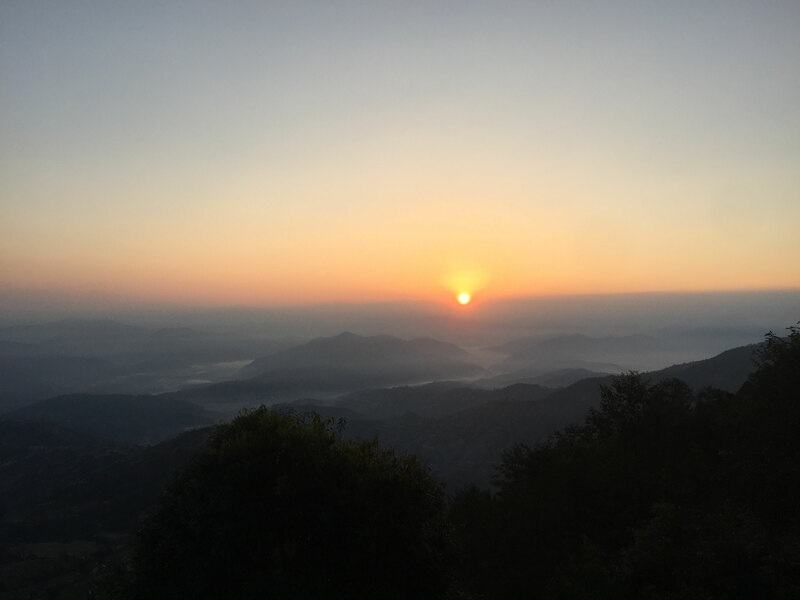 While in Kathmandu the one thing you cannot miss is a sunrise (or a 1 night trip) in Nagarkot which is a town about a 3 hour drive away from the city that has panoramic views over the entirety of the Himalayas (INCLUDING MOUNT EVEREST) and provides one of the most beautiful spots to watch sunrise in the world. We hired motorbikes and joined forces with a guy from our hostel who joined us on the 3 hour journey through the night. We left at 3:30am and drove in the bitter cold and blinding darkness completely hating ourselves the entire way. About 5km from the town (and in the middle of no-where) our bike ran out of petrol so we parked and walked the rest of the way. Luckily we had maps.me to point us in the right direction and the sun wasn’t due to rise for another hour so we had enough time to power-walk our way to the destination. Despite our difficulties the morning was perfect. 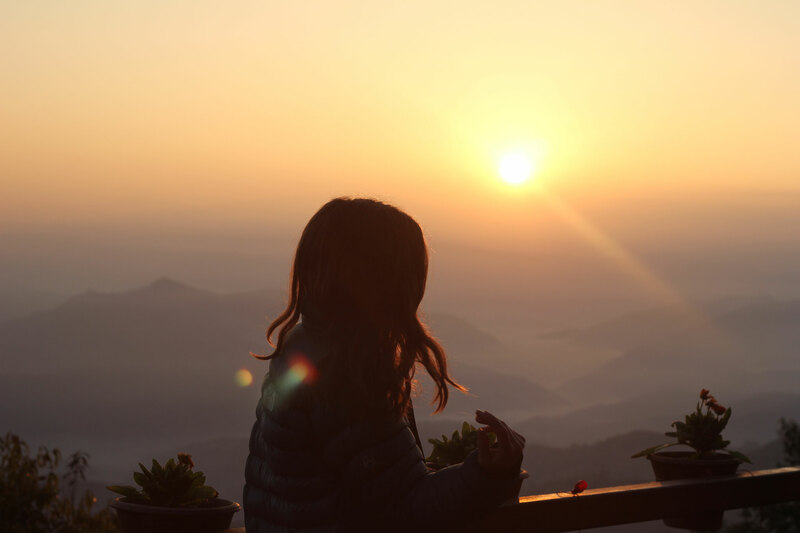 We ended up watching the sun from the deck of a lovely hotel where we ordered coffee and chai (the owner also helped us source some petrol which was a massive plus). 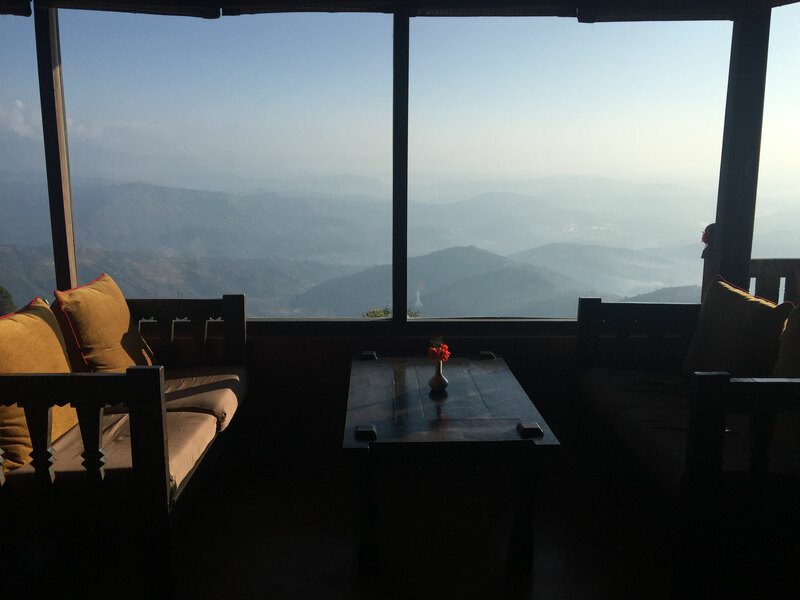 Next time instead of driving there overnight I'd get the public bus to Nagarkot the day before and stay overnight in one of the many lodges. This option would still be very cost effective as there are plenty of cheap accommodation options and would be far less stressful than having to navigate your way there on the 'barely there' roads in the pitch black. Our way was certainly an adventure and if we hadn't had our flight to India that afternoon its likely I would have been a lot less stressed out. 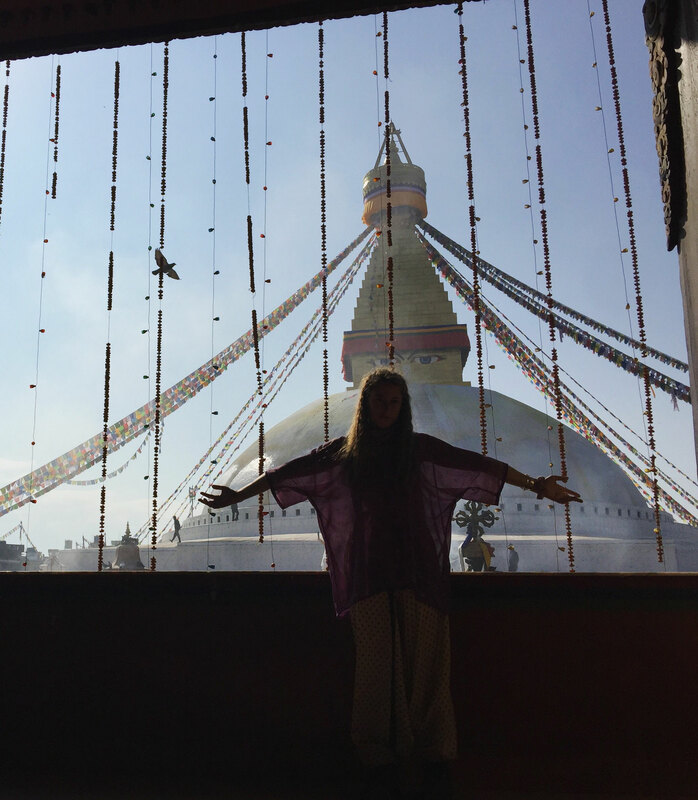 Other places to check out are the Boudhanath temple which is the biggest stupa in the world. Make sure you give yourself a few hours to explore this place as it is truly magical and you'll want to take your time. 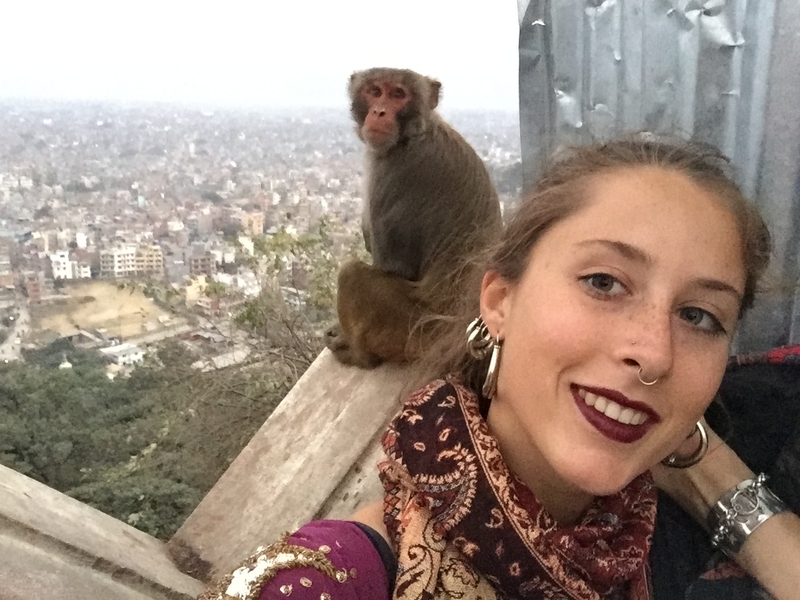 The Monkey Temple is also pretty fun, we got there just before sunset so it was a bit late. 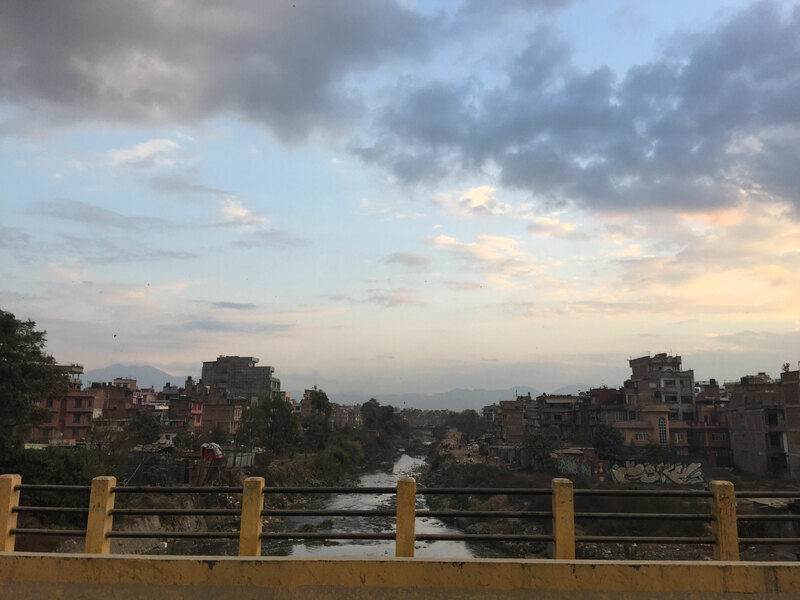 Next time I'd leave a whole lot earlier and walk there to see a little more of Kathmandu as the streets we saw on the drive there looked crazy interesting. I forgot our wallet so we didn't have any money and couldn’t pay to get in but they let us in anyway because we begged. Was kinda fun seeing how much we could get away with, with literally no money on us (the answer is not a whole lot). 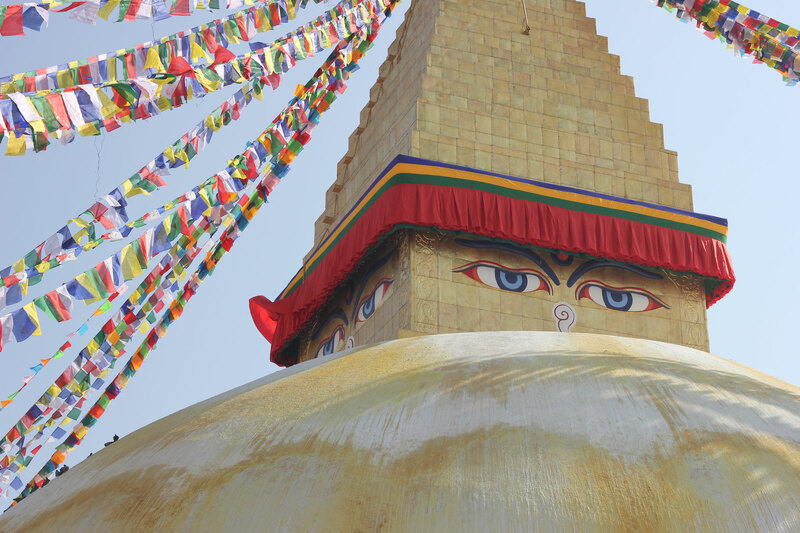 Namo Bouddha is a short drive away from the Kathmandu Valley. It is a major pilgrimage site for Buddhists. 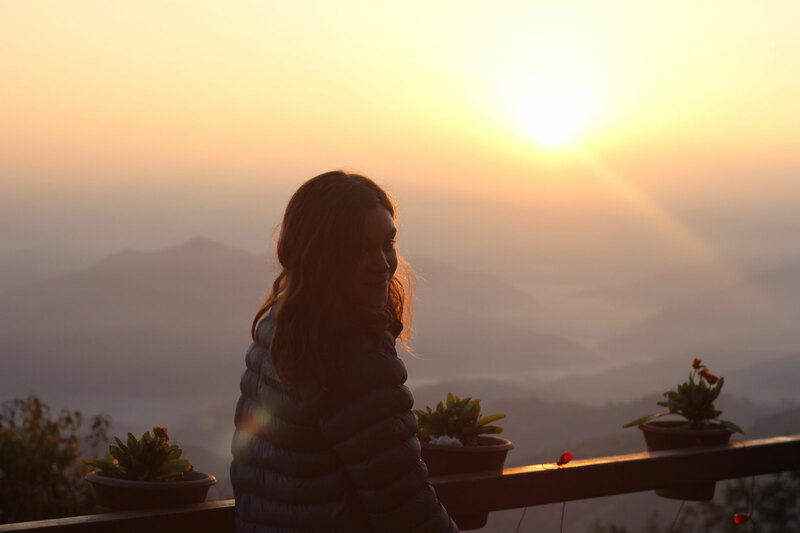 The Namo Bouddha temple stands on top of a beautiful hill surrounded by stunning views of the green hills. 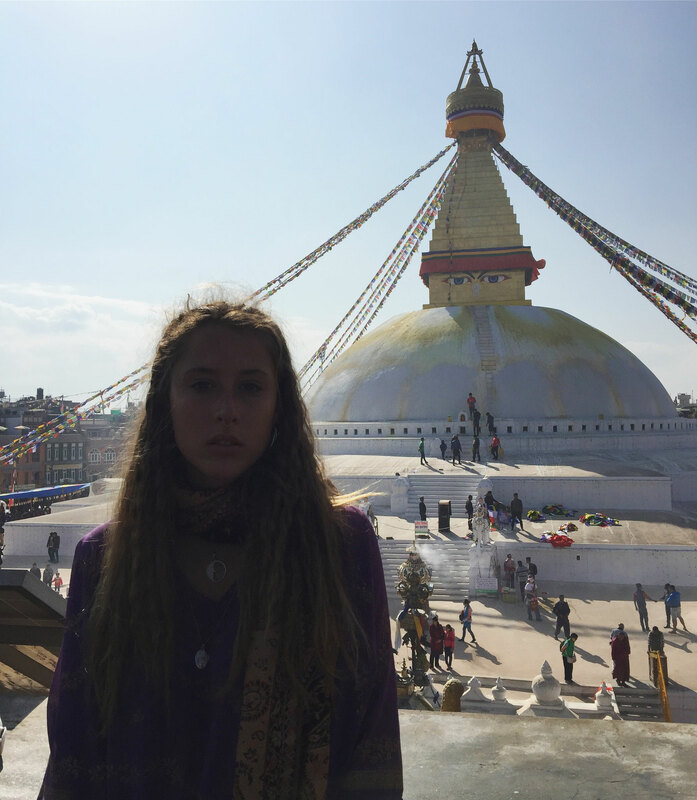 The temple is also accompanied by a beautiful Tibetan Monastery. 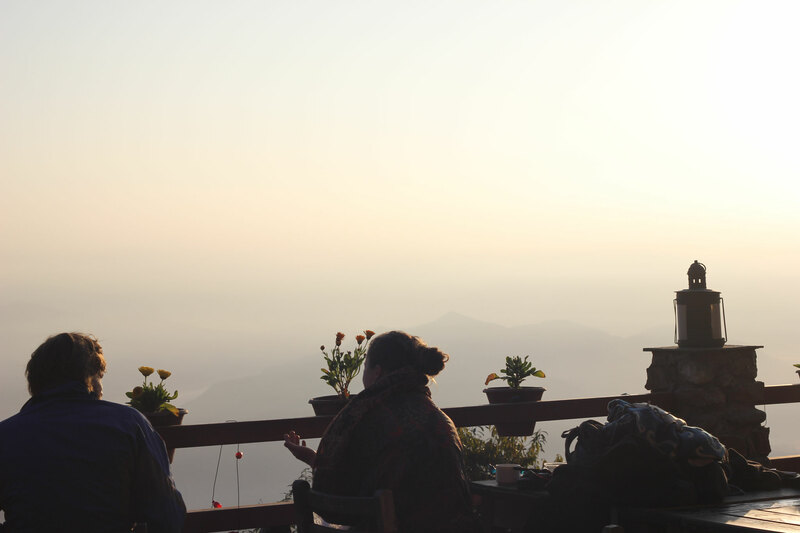 The short hike to Namo Buddha offers a great view of the mountains and some fresh air away from the city. 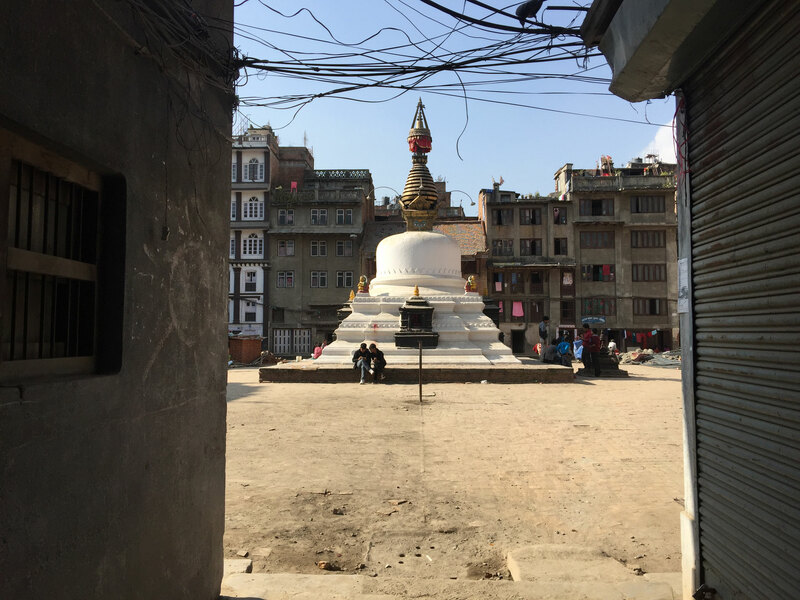 There are three Durbar Squares of Kathmandu, Patan and Bhaktapur which are all the palace areas exhibiting centuries old palaces temples and other monuments. Its quite ridiculous imagining how it would have been during its thriving time as a lot of it has been destroyed by the earthquakes ): . 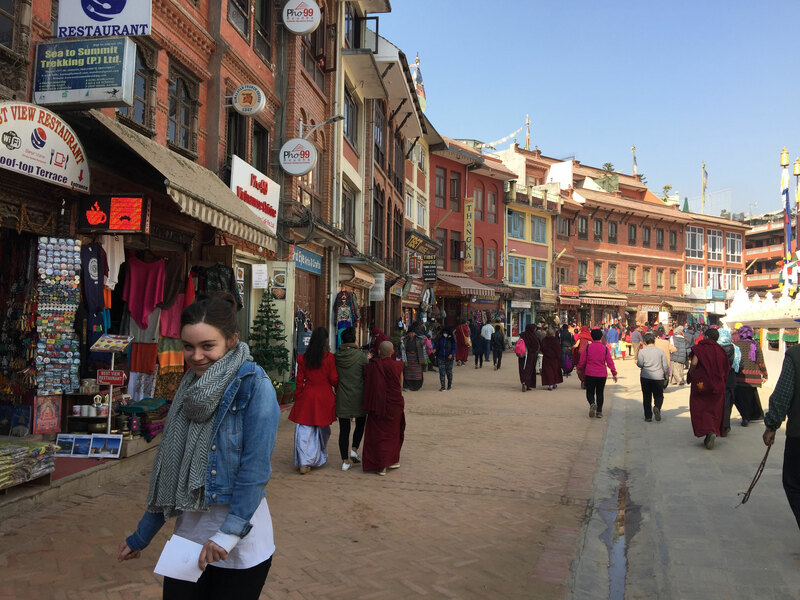 This budget is based roughly off the records I made of what I spent while in Kathmandu and doesn't include the amount of money I spent on shopping. This budget is for 1 person. 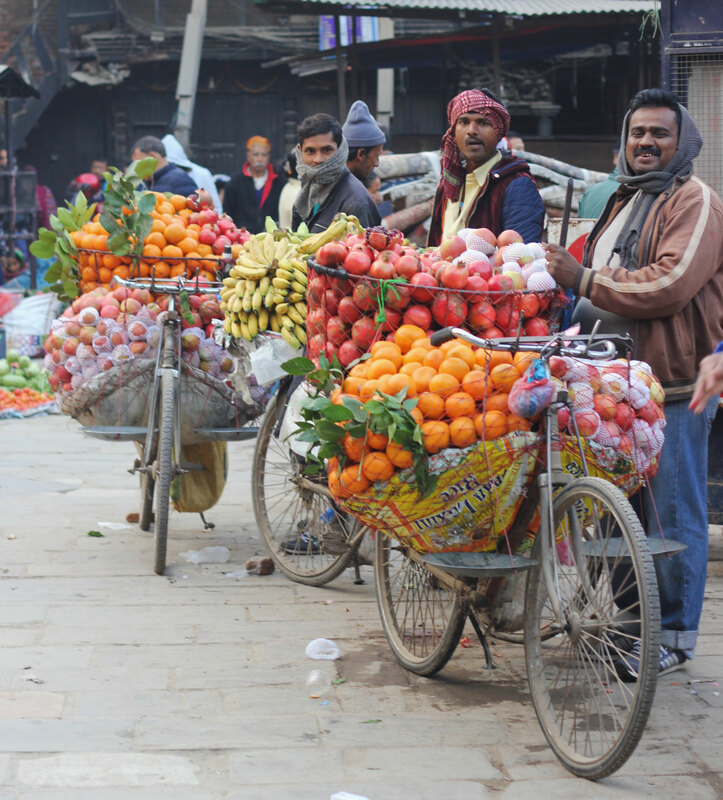 Involved several snacks a day, street food, eating at the Indian restaurants, getting breakfast at our hostel some mornings and Jod having the occasional beer.